Crescent Plastics has been producing custom extrusions for appliance manufacturers for more than 60 years. We extrude a wide variety of appliance products including pan trims, door trims, wire raceways, duct work, non-magnetic gaskets, bumpers, light lenses, breaker strips, and polypropylene and polyethylene tubing. 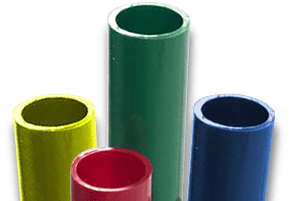 We have the knowhow and the expertise to deliver custom extrusions in various geometries, from 0.188" diameter tubing and larger, up to 20" wide profiles. We have complete coextrusion capabilities, which enables us to create custom extrusions from two or more different materials. We can produce custom extrusions for your appliances from a wide variety of thermoplastic materials, including ABS, HIPS, PVC, PE, PP, and Acrylic(PMMA). We also have the ability to extrude engineered thermoplastics including Polycarbonate(PC), Ultem® (PEI), Polysulfone(PSU), Polyurethane(PU), and Noryl®(PPO). With on-line and off-line fabrication capabilities, Crescent Plastics can provide value-added services to help you achieve the lowest cost with enhanced functionality. 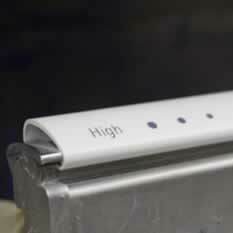 In addition, our extensive fabrication area allows us to decorate plastics with ink jet printing, pad printing, or heat transfer to provide aesthetically appealing custom extrusions. Recycle codes code can be added, along with part identification for lot traceability. 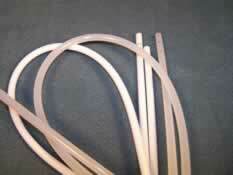 We also utilize UL flame retardant extruded plastic, along with FDA, NSF, RoHS, and WEEE compliant materials.